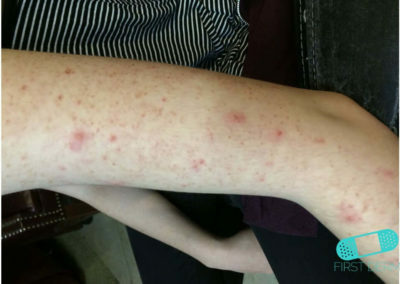 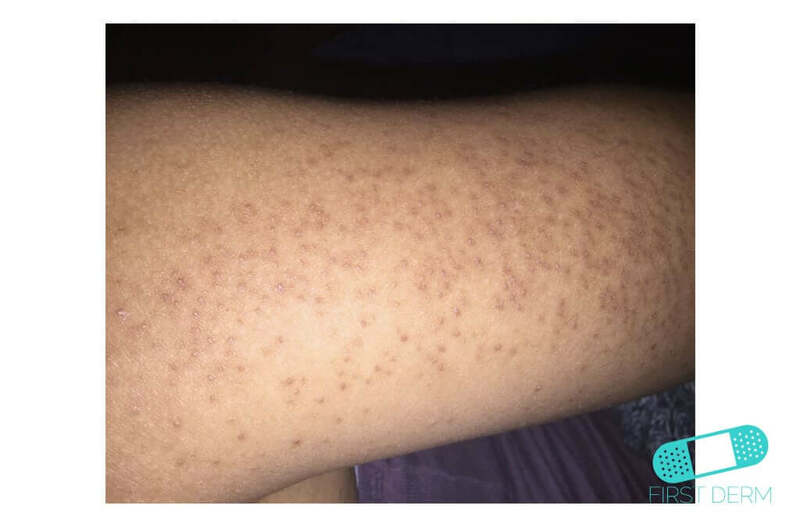 Keratosis pilaris is a genetic skin condition marked by rough, red bumps. 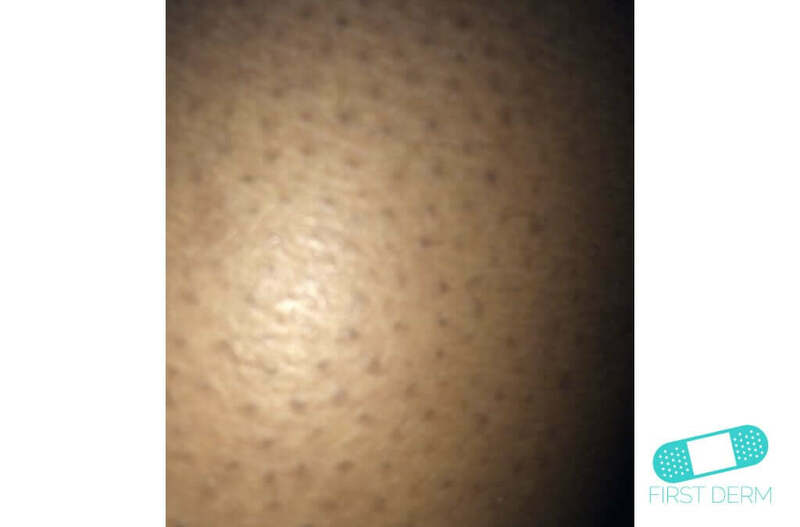 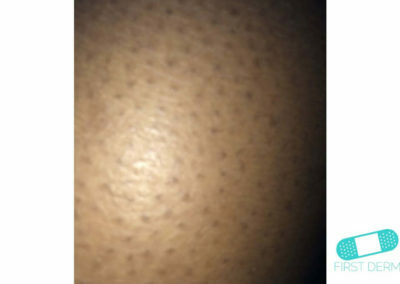 These bumps of actually dead skin cells, caused by a buildup of keratin – a skin protein – which traps hair follicles. 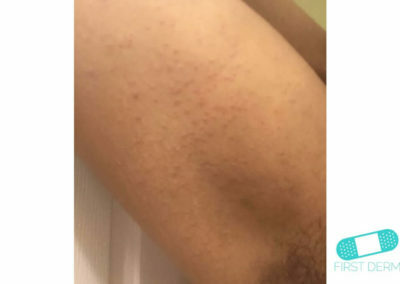 This forms hard clogs, preventing hair from emerging through the pores and creating ingrown hairs. 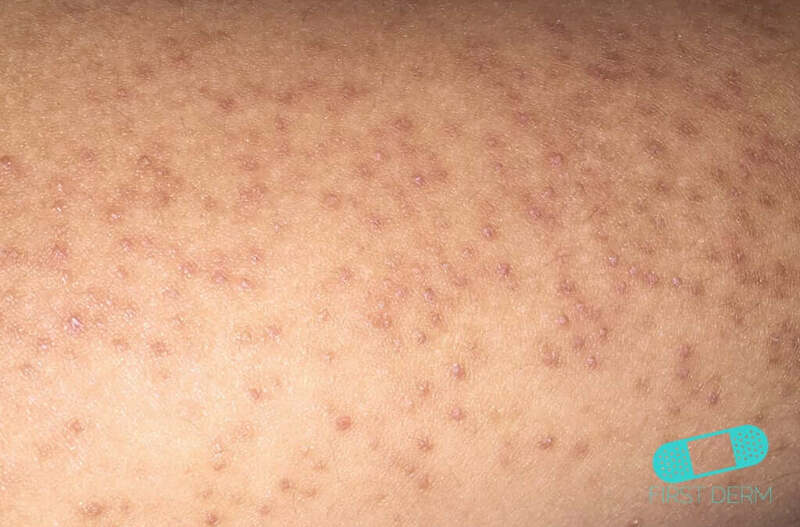 Keratosis pilaris is very common in adults and adolescents, but it also appears on children. 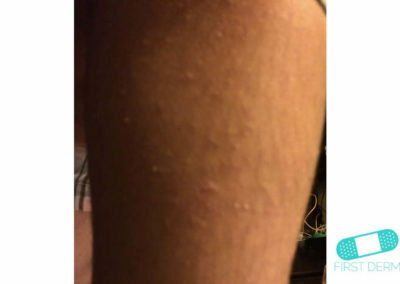 It can be exacerbated in cold, dry weather. 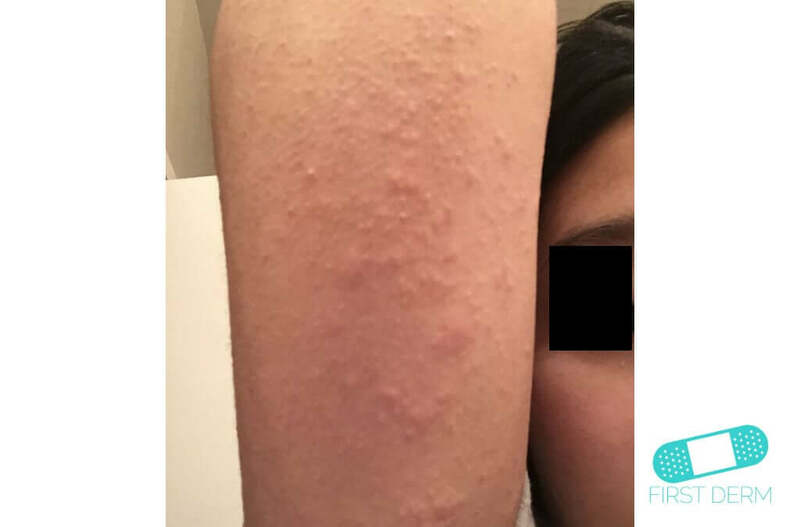 It is not contagious. 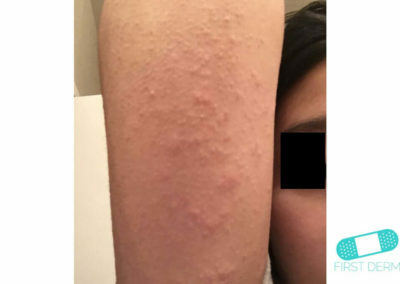 Associated with atopic dermatitis, asthma, and allergies. The small red bumps feel rough, like sandpaper. 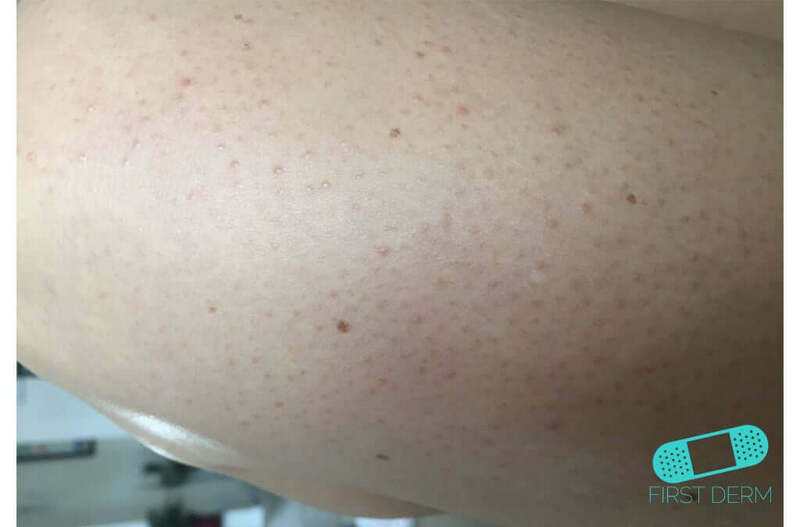 The bumps are usually not itchy, but some forms of keratosis pilaris can create inflamed and irritated bumps. They appear in different colors, including flesh-color, white, red, pinkish purple (on fair skin), and brownish black (on dark skin). 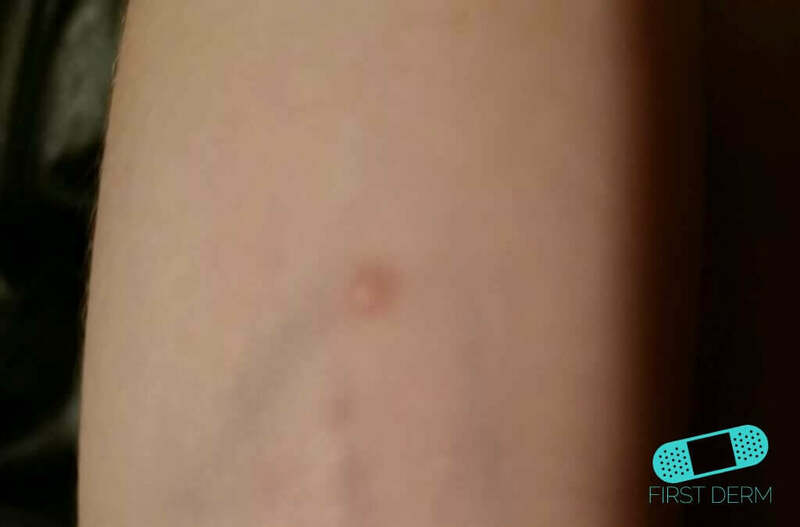 You may also see slight pinkness around some bumps. 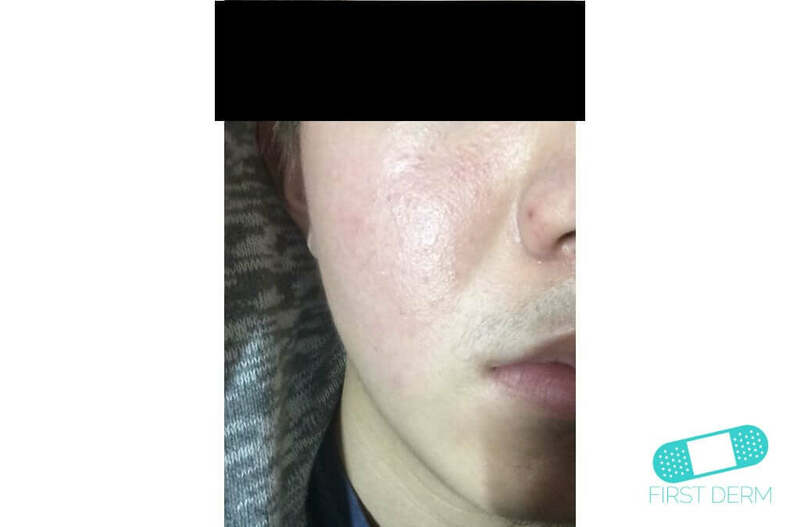 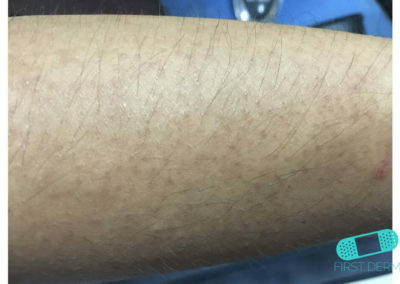 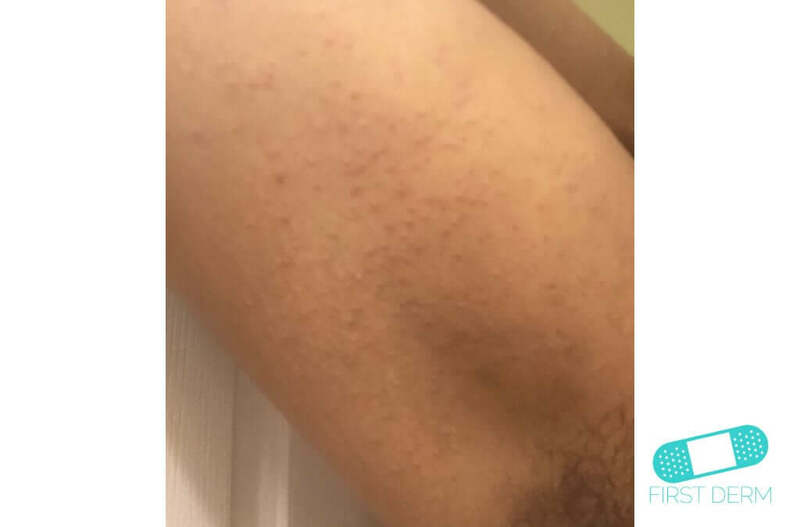 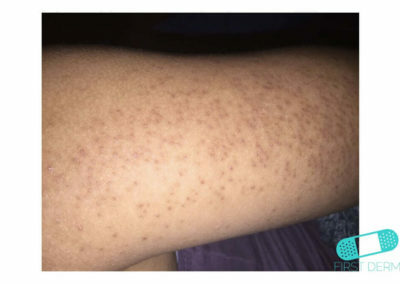 The affected skin resembles the skin of a plucked chicken, and is thus sometimes called “chicken skin.” Keratosis pilaris becomes more noticeable in winter or a dry climate. 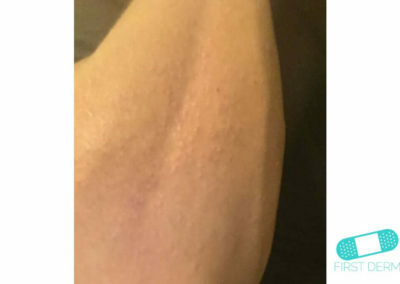 It appears usually on the back and arms. 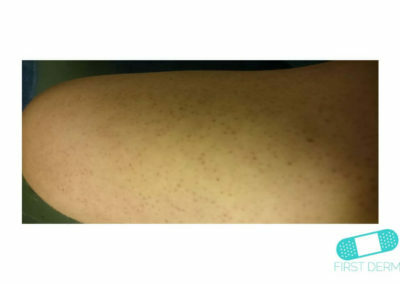 Other commonly affected areas are the thighs, hands, legs, and cheeks. 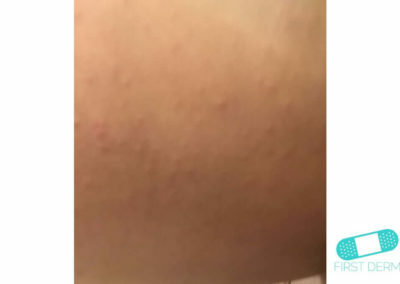 Children may have these bumps on their cheeks. 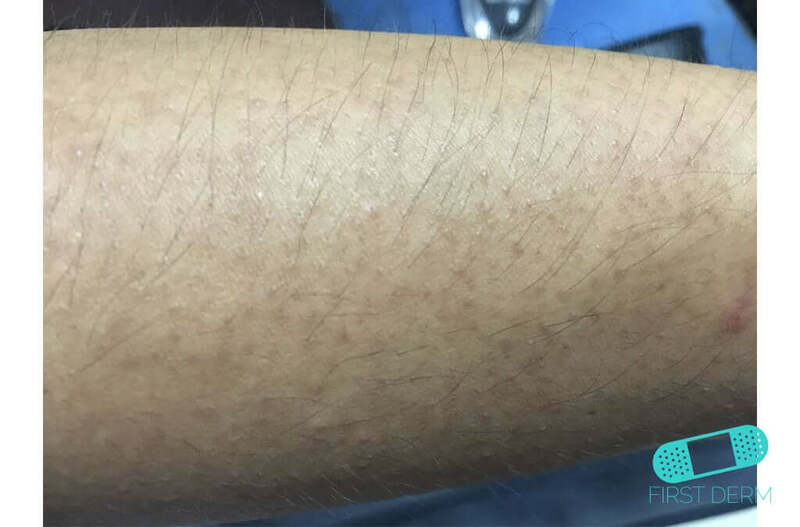 Keratosis pilaris frequently improves by age 30, but it can continue into later adulthood. 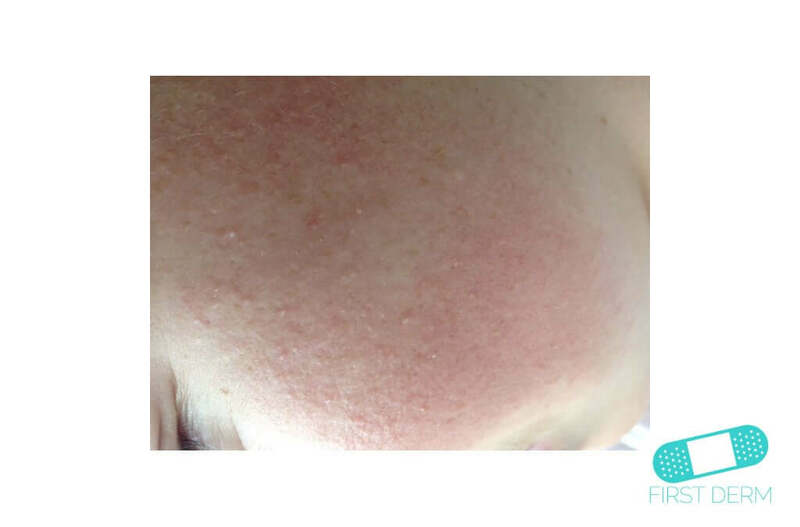 Topical creams can reduce the bumps and redness but the inflammation will likely reappear. 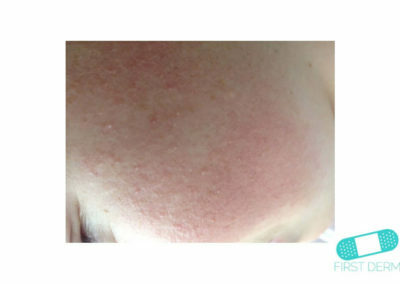 Exfoliation unclogs pores, but it may not be a permanent solution. 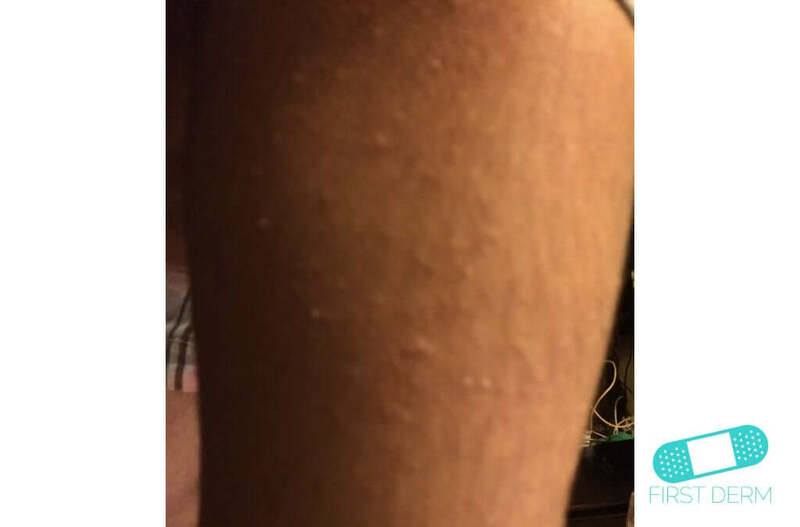 Make sure to avoid extremely hot baths and shower. 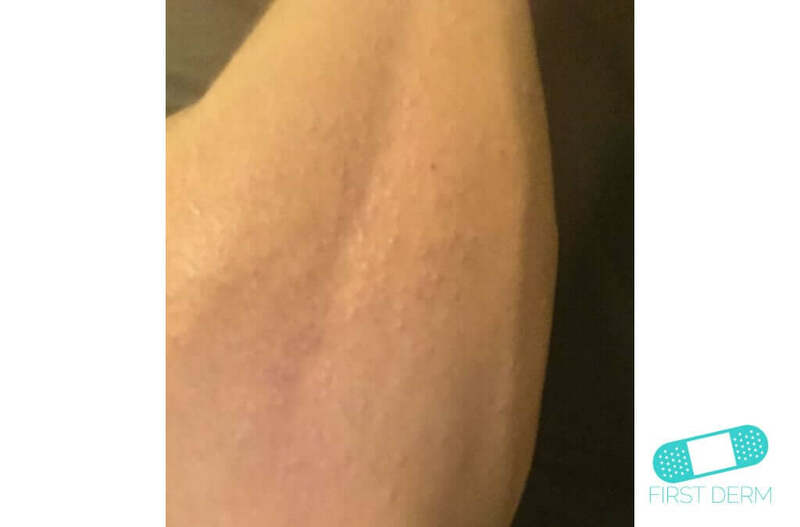 Use a mild soap or cleanser. 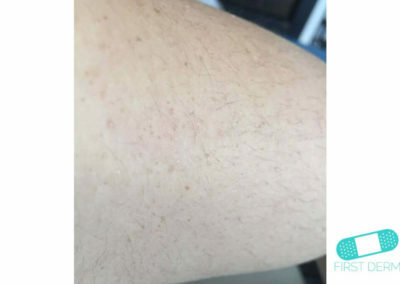 Dryness can aggravate the bumps, so it is important to keep the affected area lubricated. 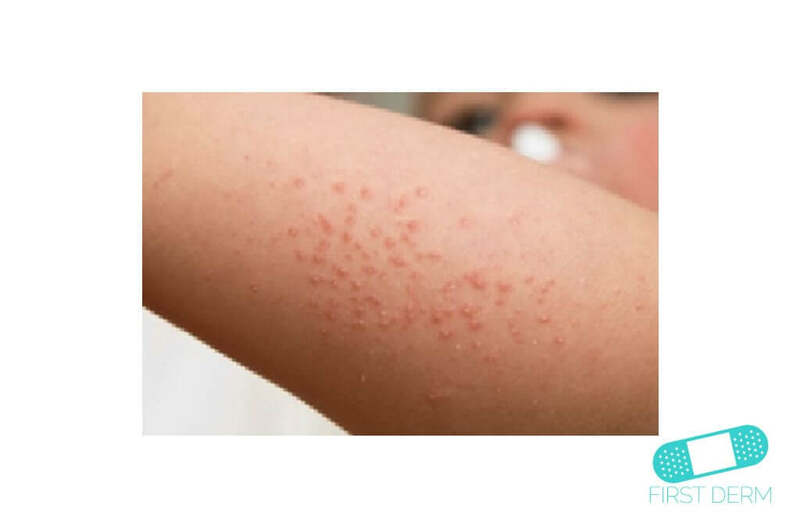 Most moisturizing creams used to treat keratosis pilaris contain urea or lactic acid. 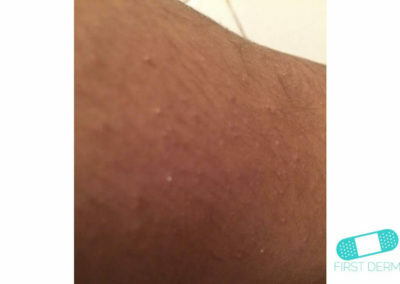 For best results, apply your moisturizer after shower when your skin is still damp. 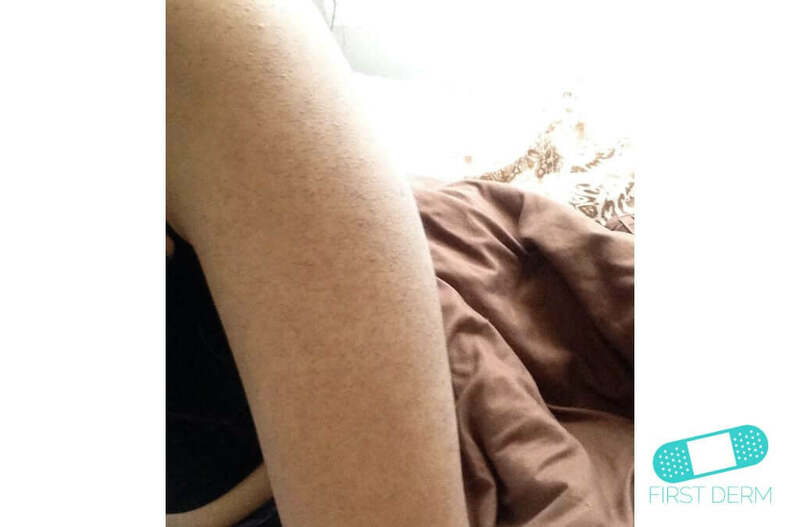 Gently massage it into your skin at least 2 or 2 times a day. This skin condition is harmless, so treatment often takes a long time and is usually unnecessary. 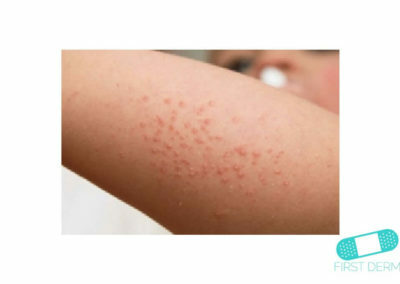 A dermatologist can create a treatment if the itch, dryness or appearance of the affected area bothers you. 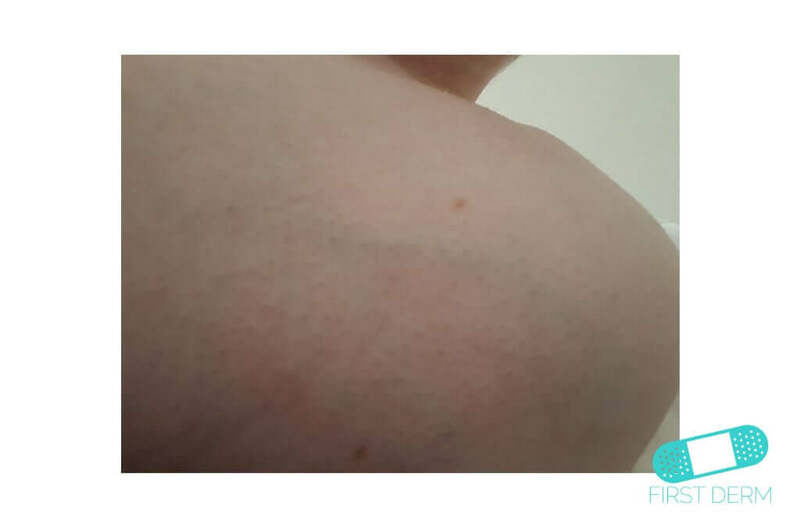 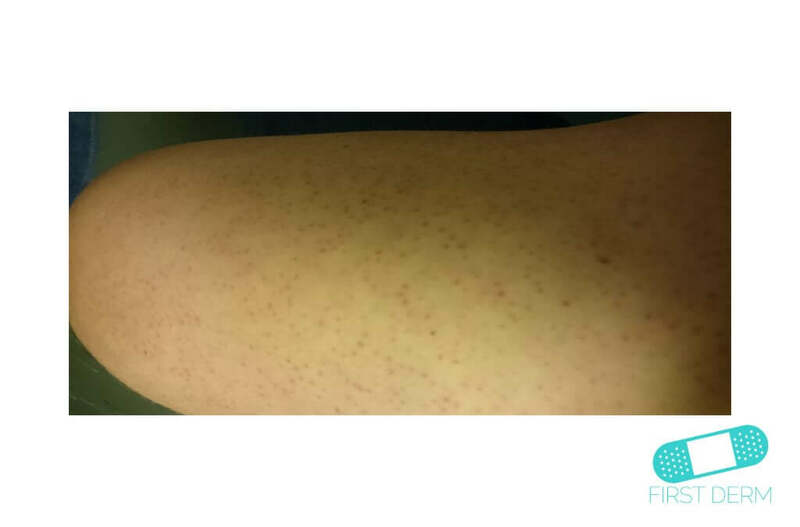 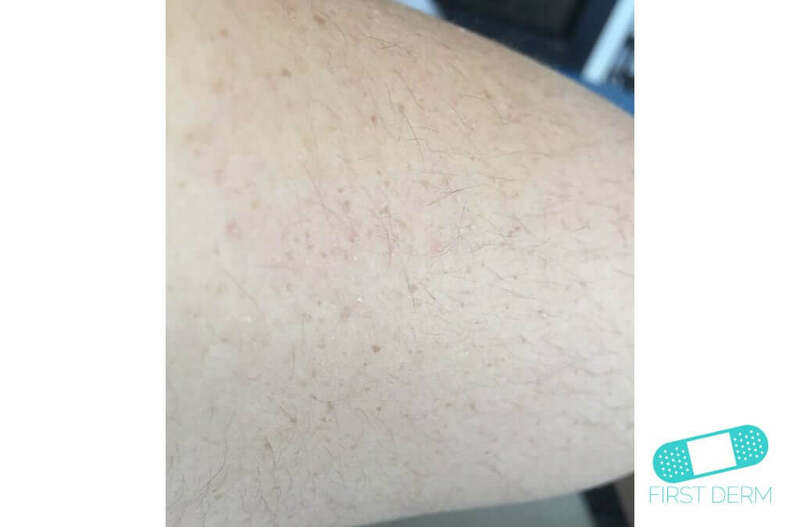 Laser treatment has been successful in a some cases of keratosis pilaris. 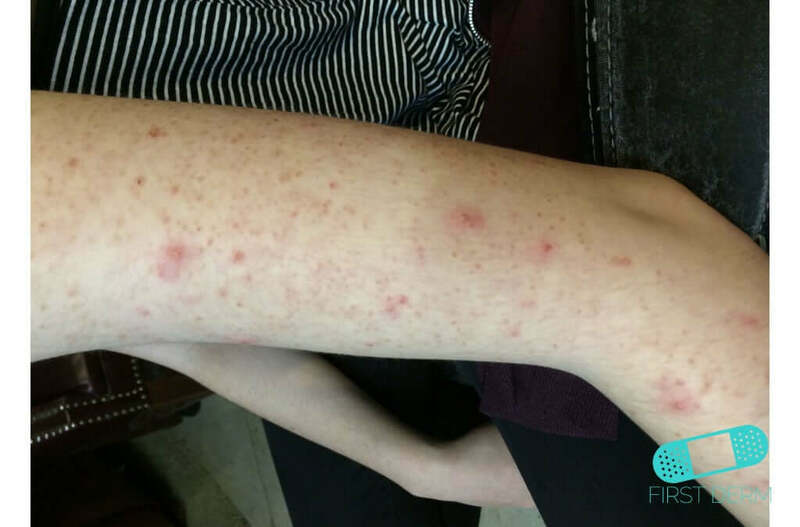 The condition is not harmful, but rather a cosmetic nuisance. Moisturizing your skin and avoiding harsh soaps and products that dry out the skin can help prevent keratosis pilaris. 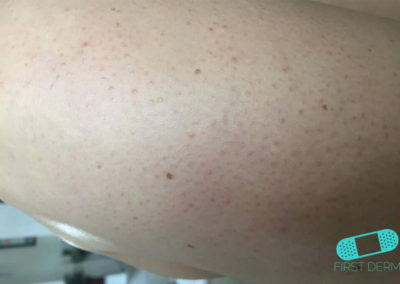 Your dermatologist may prescribe medicine that help remove dead skin cells, including alpha hydroxyl acid, glycolic acid, lactic acid, retinoid (adapalene, retinol, tazarotene, tretinoin), salicylic acid or urea.